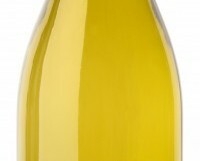 I was bemoaning the lack of big rich buttery Chardonnays in my piece in the Irish Times last week, when this wine appeared. David Whelehan promised an old-style ‘Dolly Parton’ Chardonnay. He was half-right; it is a powerful full-bodied wine with lots of tropical fruits, some oak and a touch of butter too. But it is actually more than that; this is a well-made wine, with good acidity and balance. The oak is there but doesn’t overwhelm and the quality of the fruit is pretty good. I can see it going very nicely with chicken and richer fish dishes.